Well congrats on the Ruby wedding Anniversary, hope you enjoy your break. Brilliant cards, love love the colours. Happy anniversary!!!! Have fun in Italy! Your cards are so bright and cheery!!!! Happy Anniversary! And I hear you (I think we all do) on the medals! lol! 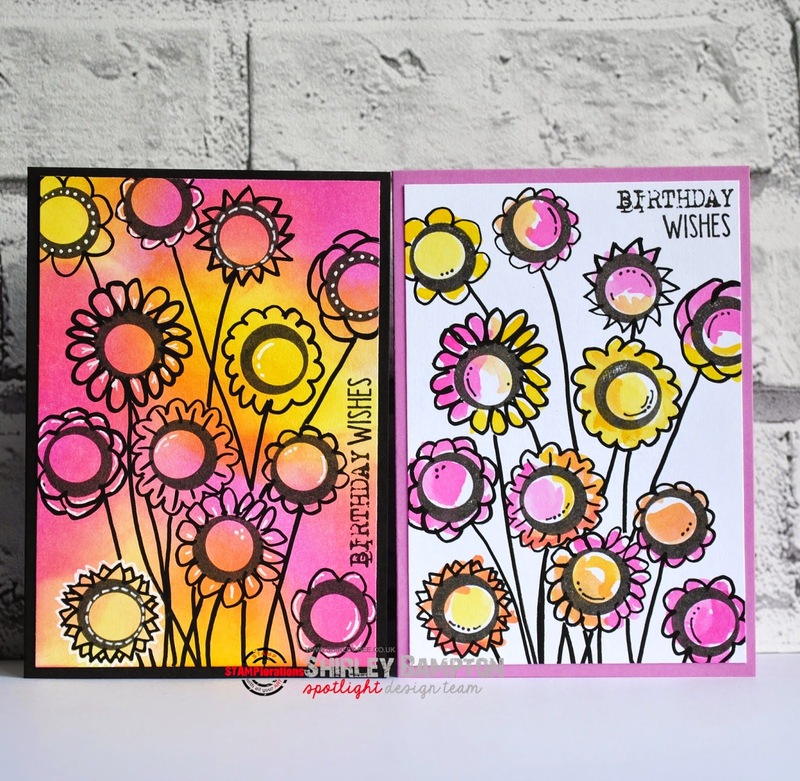 Love these cards - beautiful and bright and full of happy! Awesome image use with doodling! CONGRATULATIONS on 40 years of wedded bliss! Yep - a medal is definitely in order! Amazing cards - the colors are fabulous! Enjoy a well deserved vacation Shirley! Medals...hahahahah..oops, sorry! Congratulations on your Ruby Anniversary; hope your celebrations were absolutely fabulous, including the medal awards. Your cards: gorgeous! Bright and beautiful. By the way, I 'sorta' cased (okay, copied!) one of your cards - not going into any challenges, but I'm just so stoked that it turned out. It's on my ATSM post: http://justmeclm.blogspot.ca/2015/06/summer-birthday-flowers-and-butterflies.html Hope you don't mind...I want to craft like you when I grow up!